I’ll be the first to admit that math has never been my strong suit. I opted for advanced art in high school instead of calculus and barely made it through Math 101 in college. What can I say, some people think in numbers, I think in frosting, sprinkles and toasted pecans! When it comes to baking math on the other hand, I’m all in. 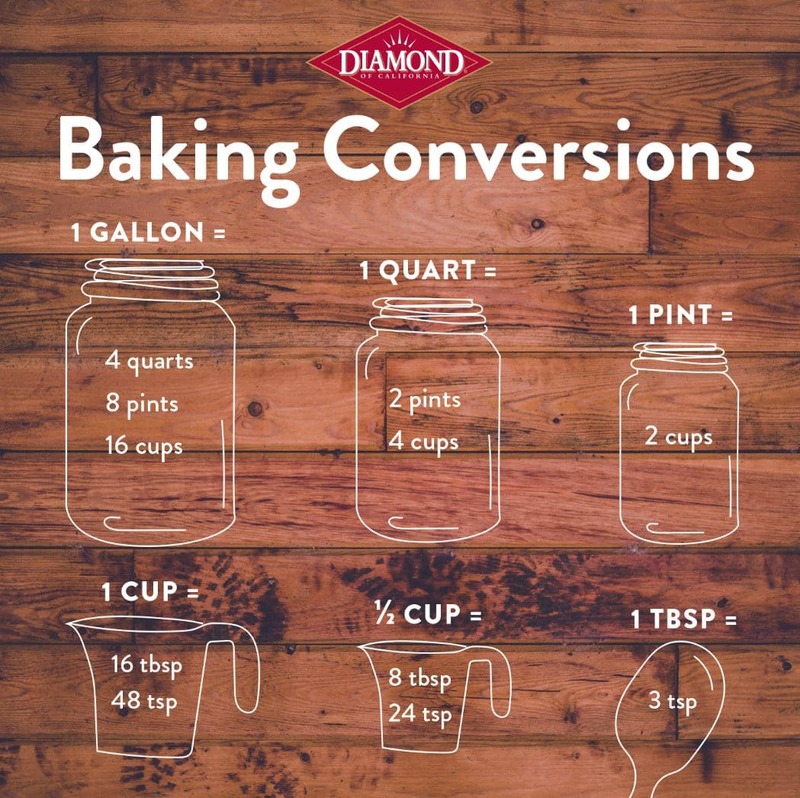 Learning how many teaspoons make up a tablespoon, how to half or double a recipe and every fraction in between is an essential skill for all bakers. In fact, we spent the better part of the first semester of pastry school multiplying and dividing – I guess all I needed to succeed in math class was a bag of flour and a few measuring cups! If you’re new to baking, or if you just need a little refresher, I put together this handy guide to help you pair down or double your recipes. Print it out and keep it on the fridge for easy access. PS – not really into math? Check out our recipes, which feature a simple tool that halves, doubles or even quadruples ingredients for you!